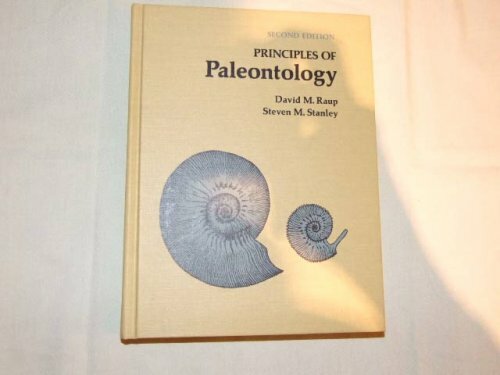 When published in 1971, Principles of Paleontology (POP) by David Raup and Steven Stanley revolutionized both textbooks and teaching in paleontology by adopting an approach that focused on the process of studying biologic groups, rather than a systematic approach (the study of individual groups of organisms), or an historical approach (narrating events to date). For this highly anticipated revision of Raup and Stanley's one-term undergraduate text, two of Raup's former studentsÂ--Michael Foote and Arnold MillerÂ--use that defining core approach to present a thoroughly up-to-date portrait of a field that has undergone major transformations in the last two decades. 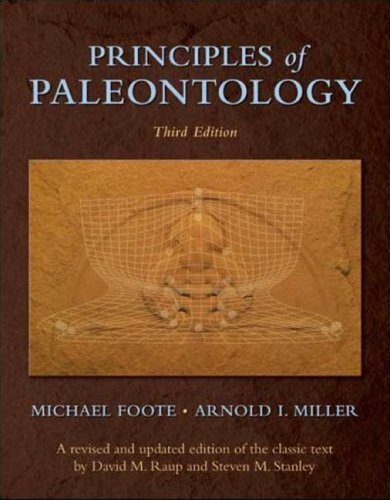 Foote and Miller have written a wonderful book which tries to explore as broadly as possible all the sort of wonderful analytical work people can do with paleontological data. 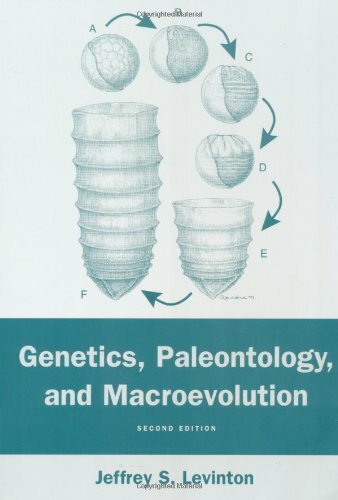 As would be expected from both the authors, who are respected among paleobiologists for their analytical skill, this book describes the different techniques of paleontology cleanly and with clarity. They don't focus too much on the details and neither are important topics missed. 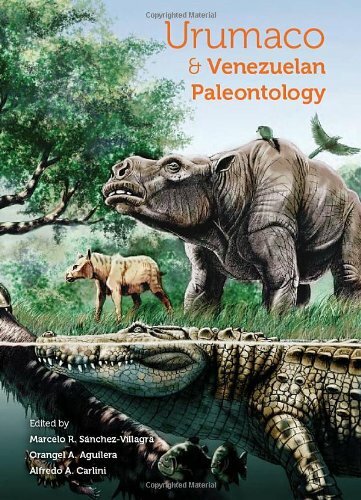 Overall, the reader gets an excellent view all the big topics and questions currently in paleontological research. The examples in this book will give readers an idea of the types of questions that can be asked. It is sometimes surprising how some very interesting things were done back in the seventies or eighties but have had little follow up work! If the reader takes a special interest in a specific topic, such as theoretical morphology, than there are other books out there (such as those by McGhee, in the case of theoretical morphology) for the reader to get more detail. That is rather rightfully the place of this book: here is a bunch of interesting, exciting examples with limited detail, now go off on what seems most exciting to YOU! 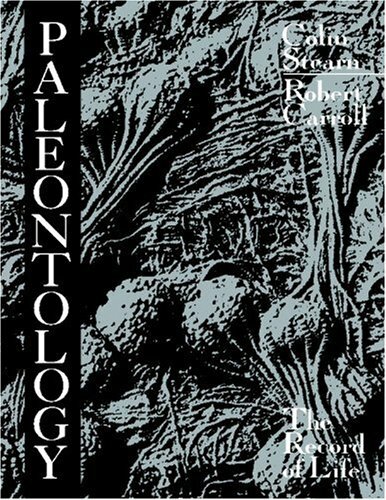 If there is any regret, it is that there are dozens more of interesting case studies from the last three decades Paleobiology (and other scientific journals) which did not make it into this book. 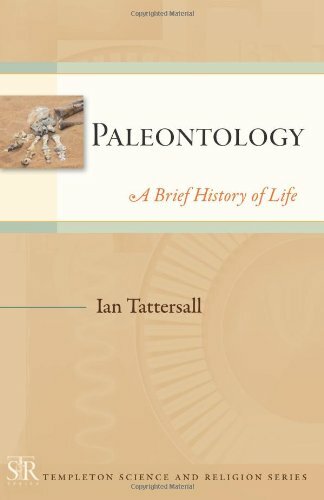 In my view, this would be an excellent textbook for an advanced paleontology techniques/topics course at a university, such as for third year and fourth year undergraduate students or first year graduate students. Disclaimer: I am a UChicago graduate student; the school which both Foote and Miller graduated from and which Foote is a professor at. That said, it means I care quite intensely about the analytical questions of paleontology. This book helped me through a very difficult time in my studies. I applaud the authors! the book was informative but very boring!!!!!!!! 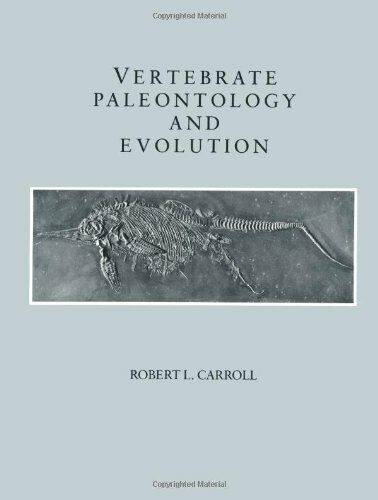 I had Romer's Vertebrate Paleontology, which is an excellent book, until a paleontologist friend directed me to Carroll's book. He acknowledges Romer's work in the field but this is an updated version (for the time of publication). It gives all the basic elements needed for a thorough understanding of this very important field of study. One caution: know your anatomy! The detailed information can be a bit overwhelming for the amateur (like me). However, if you want to chart the course of evolution up to the present - read this book! One of the few college texybooks I kept. This book was my textbook for Vertebrate Paleontology and Evolution at the University of Rochester back in 1992.The book is very daunting to look at if you just flip through it.However, it does a nice job of introducing concepts and terms to the reader.Its organization is straightforward, starting with the simplest vertebrates and eventually finishing with mammals.Most groups are covered well, considering that the author's cover every group of vertebrates known.The biggest problem I had with the book was the section on dinosaurs, the biggest reason why I took the class. 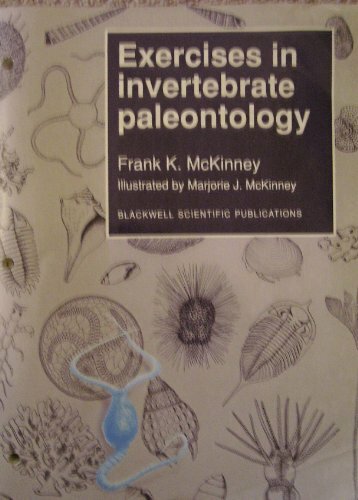 The information on them was limited to a few pages and much of the information was out-dated even in 1992.However, if you are looking for a good book on vertebrates, this is a must have.Just realize that some of the information may not reflect our current understanding since the book is over 10 years old and many new finds have come to light, new ideas have been introduced, and old ideas reexamined. ...the only easily available work that goes to any depth on this intensely interesting subject.A large book of medium thickness with an average of about two drawings per page, including familial relationship diagrams. Since the late Paleozoic, there have been two significantbranches of terrestrial vertebrates: the diapsids (crocs, dinosaurs, birds)and synapsids (pelycosaurs, theraspids, mammals).Sharing a commonancestry and evolving at times in parallel, nevertheless distinctivefeatures appear early that, though not of immediately apparentsignificance, in fact consign the lines to their separate fates. Mammals continued to refine theirchewing mechanism, introducing improvements to their teeth.Instead ofthe saw of teeth possessed by dinosaurs and early reptiles, the mammalsdeveloped closely occluding teeth that allowed them to grind food moreefficiently.Apparently the price for this matching of the upper and lowerteeth is that mammals cannot replace their adult teeth once lost. 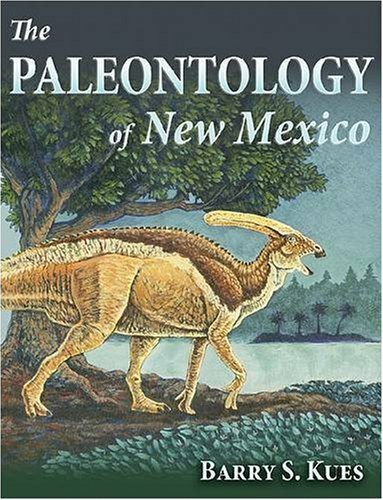 In this updated and expanded version of his 1982 book Fossils of New Mexico, Kues offers a detailed overview of the fauna and flora of New Mexico through the past 500 million years, from Cambrian through Pleistocene time. 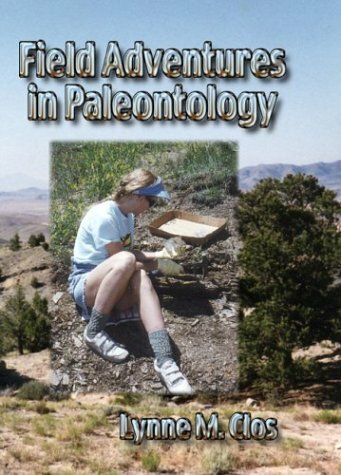 An explosion in our knowledge of the state's fossil record has occurred in the past twenty-five years, and in this comprehensive examination Kues thoroughly discusses new discoveries and interpretations as well as the classic New Mexico fossil assemblages that are known worldwide. New Mexico is a very complex state, geologically speaking.It has from relatively young Pleistocene alluvial deposits all the way back to ancient Proterozoic (Pre-Cambrian) rock.From the Cambrian to the recent, New Mexico has a huge fossil fauna and flora.This ancient biota has been only treated to my knowledge in scattered technical publications and one or two booklets before Barry S. Kues of the University of New Mexico produced this volume entitled "The Paleontology of New Mexico". 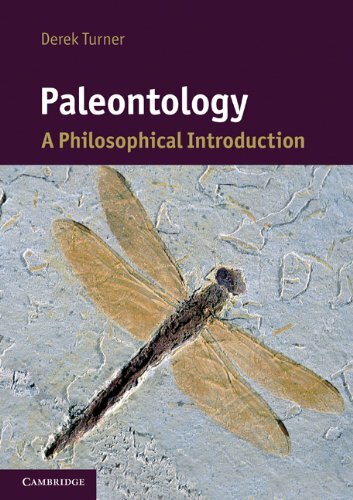 "Principles of Paleontology" remains the finest introductory academic text to paleontology, written by two of the foremost paleontologists in the latter half of the 20th Century. 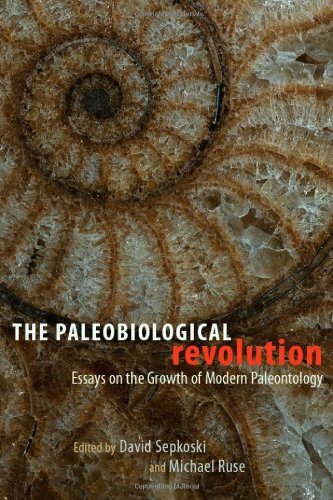 It may be of interest too to historians and philosophers of science since the book reflects paleontology's emergence as a quantitative science shaped by recent advances in systematic biology and theoretical ecology. David Raup, now professor emeritus of geophysical sciences at the University of Chicago, was probably the paleontologist most responsible for paleontology's emergence as a quantitative science; his research covered many aspects of theoretical paleontology from analyzing shell morphology to measuring evolutionary rates. Steven M. Stanley, still a professor of geology at Johns Hopkins University, is noted for his research on the functional morphology of mollusk shells, measuring evolutionary rates, and introducing the concept of "Species Selection". If you are hoping to obtain a book containing heaps of great illustrations of prehistoric scenes from the 18th and 19th Century, do not buy this book. Whilst the text is fine, but perhaps not amazing, the plates themselves are shocking. I though that I had bought a cheap Thai mock up.... Maybe I had, but this didn't explain why some pictures were ok and others were horrifying.. Many were photocopy quality, some pictures were so pixelated it was as if they are only 72 dpi, and reproductions from manuscripts were photographed in ordinary rather than scanned. Davidson is Professor of Art History at the University of Nevada, Reno and writes as an art historian there. 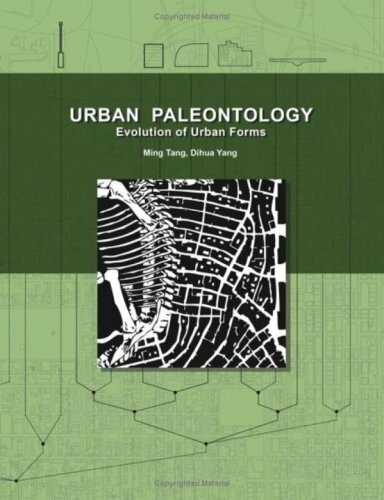 She traces the history of paleontological illustration from the 15th century to the present. She combines discussions of the images with assessments of the artists. The main subject of the book is scientific illustration, and only delves into "popular" illustrations such as those found in adult & children's textbooks, museum and other public displays, and film. The entire book is a very cursory overview with little detail. The six chapter book covers the entire 20th century in the final chapter which is hardly adequate. Both a history of science and a history of representation, the book starts off well but perhaps should have saved the twentieth century for a second book. 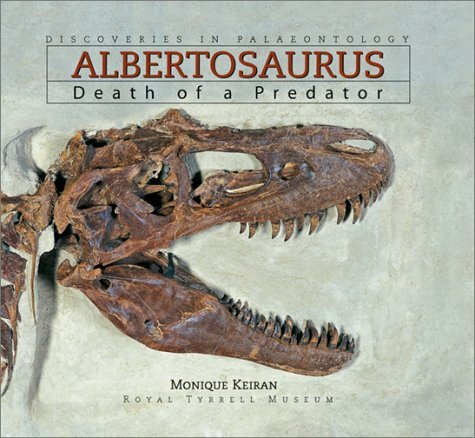 If you were new to the subject, this would be a great introduction but I cannot really recommend it for seasoned fans of paleoart! A different perspective than what I hoped for. It is a very heavily illustrated book, and there are some good points about it. You many be interested in artistic conventions of the past, e.g. how in the 1820-1840's, marine reptiles were always shown on land spouting like whales. Also the ability of 19th Century artists to make hand-drawn engravings that look as realistic as photographs is truly amazing. However, ultimately I was disappointed, probably the first time by any book in the "Life of the Past" series in particular, or of the Indiana University Press in general. Here is why. 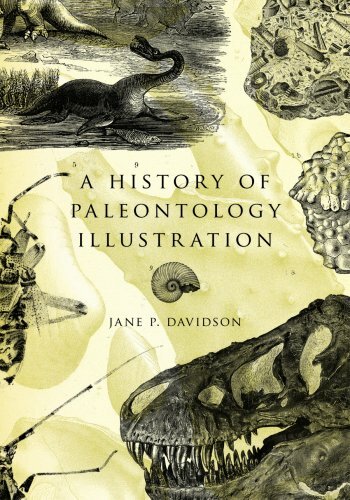 Quoting from the book jacket: "Writing from the perspecitve of an art historian, Jane P. Davidson traces the history of paleontology illustration from the fifteenth century to the present, combining discussion of these images as works of representative art with candid assessment of the artists." What I really was hoping for was perspective from a historian of science: why artists depicted fossils the way they did, given the knowledge of the time. Also, I am more interested in recent times (say the past 150 years) when paleontology was a topic of scientific study and not just a collection of curiosities. Charles R. Knight appears in the last half of the last chapter. Paleontology has long had a troubled relationship with evolutionary biology. Suffering from a reputation as a second-tier science and conjuring images of fossil collectors and amateurs who dig up bones, paleontology was marginalized even by Darwin himself, who worried that incompleteness in the fossil record would be used against his theory of evolution. But with the establishment of the modern synthesis in the 1940s and the pioneering work of George Gaylord Simpson, Ernst Mayr, and Theodosius Dobzhansky, as well as the subsequent efforts of Stephen Jay Gould, David Raup, and James Valentine, paleontology became embedded in biology and emerged as paleobiology, a first-rate discipline central to evolutionary studies. This incredible ascendance of this once-maligned science to the vanguard of a field is chronicled in The Paleobiological Revolution. Pairing contributions from some of the leading actors of the transformation with overviews from historians and philosophers of science, the essays here capture the excitement of the seismic changes in the discipline. In so doing, David Sepkoski and Michael Ruse harness the energy of the past to call for further study of the conceptual development of modern paleobiology. 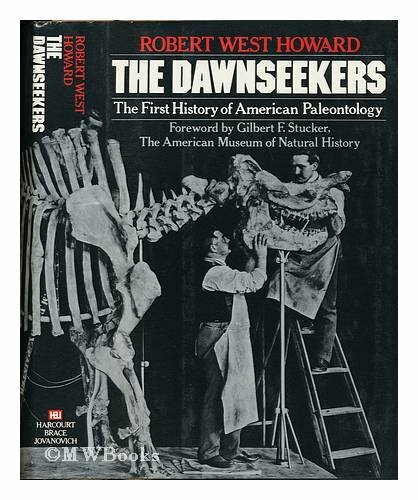 I remember this book from my childhood.I plan to order a copy to send to Sarah Palin, since I understand that she wants to outlaw the teaching of evolution, in favor of creationism.Well, I am now a creationist, but the splendid data in this book cannot be discounted. I'm certainly no expert on this topic, so this review is going to be basic. The illustrations in this, the 3rd Edition of 1966, are numerous and wonderful. There are several charts in this book, but what really impresses are the old school line drawings -- aomething like 200 of them -- line drawings of incredible complexity and clarity. Sometimes a drawing communicates much better than does a photograph. 14. 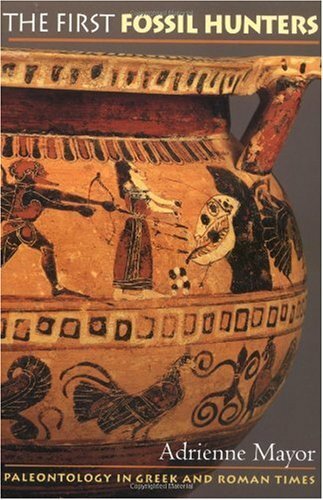 The First Fossil Hunters: Paleontology in Greek and Roman Times. 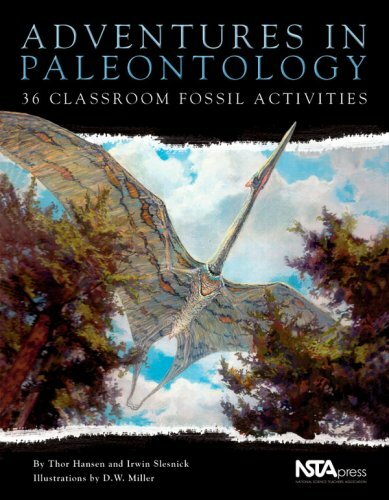 I had this as the textbook to the general paleontology course I took as an undergrad at the University of Florida back in the late 1990s. I found it to be quite thorough and useful as a general intro, though as the field had already progressed significantly in many ways by that time (and moreso by now), I found it wanting for methodological or conceptual uses. 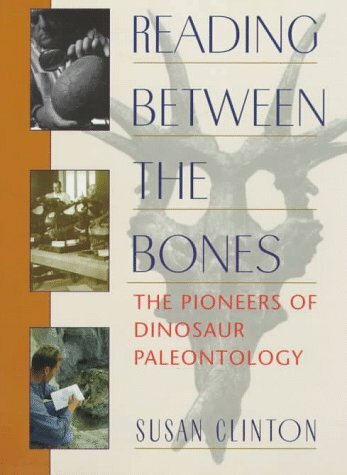 I would certainly still recommend it as an intro to many of the key issues in paleontology - I still refer to it for reminders of some apsects of paleo that I do not encounter frequently in my work - but I would not consider it ultimately as useful as some other texts out there that are more recent if you are planning to start a career in paleontology.